I’m going to start a Sunday round-up of all the posts that I’ve created in the week previous. That way, you can catch up with any you may have missed. It’s been a strange week. I’ve been away for most of it – Monday-Thursday, and yet, I managed to post all 5 weekdays. It’s not something I usually do. Being away for two weeks holiday has shown me that when I was at home, I manage my time quite poorly and if I want to, I can be quite productive, without it causing me any problems. 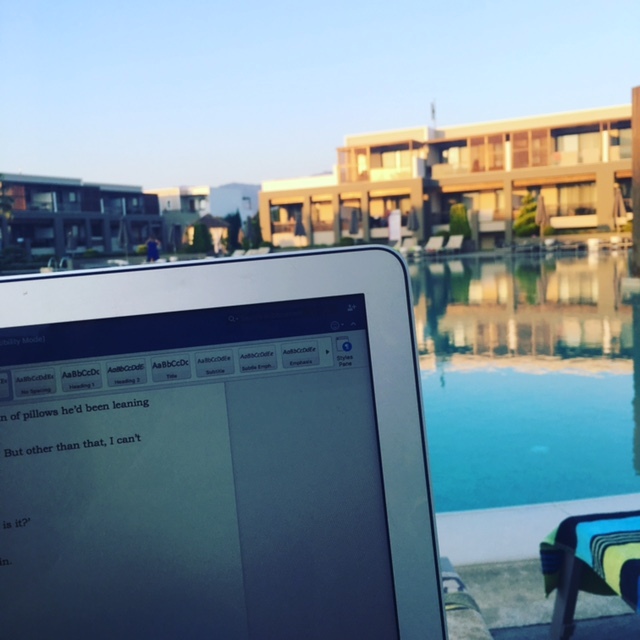 I enjoyed getting up in the early morning and grabbing a peaceful hour before everyone else was up and doing some work while I could access the pool WiFi with no problems. The view was wonderful and the temperature perfect. Then I’d spend all day reading and doing holiday stuff when everyone got up and in the evening when my energy was drained, I’d do another hour of work in bed. I was on top of my emails even though I had my out of office assistant on, my blog was running better than usual, I finished the first draft of my novella, I nearly wrote the synopsis of my next book (I didn’t quite finish it) and I read 11 books. And I had a fabulous holiday. And within all that, I have come home with a renewed enthusiasm to organise my life so I can achieve more without feeling stressed out about it because I certainly didn’t feel stressed out while I was there. I know it’s a better and more relaxing environment and there aren’t the trials and tribulations of everyday life when you’re on holiday, but I do think I can achieve this. I’ll post more about it in other posts. Wednesday – Do You Want To Be A Character In My Upcoming Novella? Sometimes we just really need a break and time away. A few days is rarely long enough to fully recharge and reassess, but two weeks certainly is.